Monica Lewinsky was in town on Monday, talking to the “Forbes Under 30 Summit” about the downside of all this online witch-huntery that consumes our very culture today. Carolyn Beeler, who also works at NewsWorks, attended Monica’s speech and wrote this story about it. Anyway, that’s why I was interested to see Lewinsky getting airplay on ABC World News Tonight. 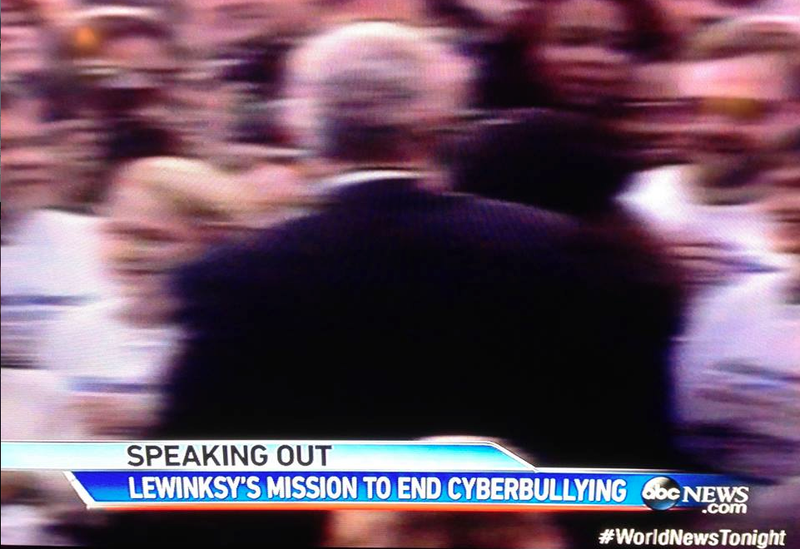 Anyway, that’s how I noticed that ABC World News Tonight can’t even spell Monica’s last name right.